A brand new design collection by French designer label Chevalier. 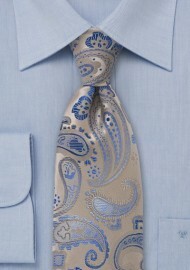 The large paisley pattern of this tie is directly woven into the fabric. 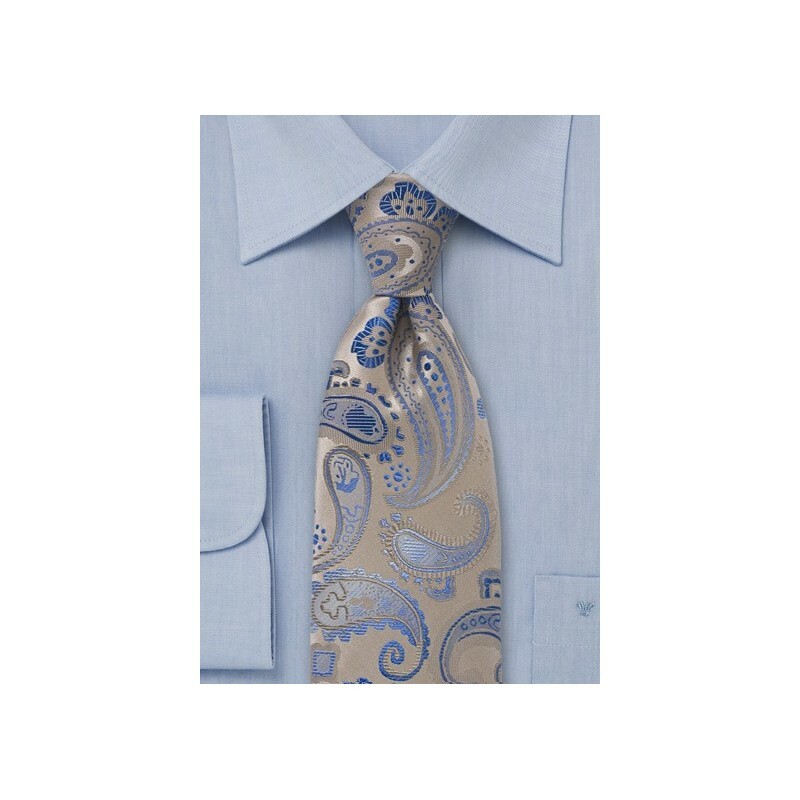 Chevalier uses a highest grade silk fabric for this tie adding incomparable shine and a vivid feel to the tie. This tie looks best when worn with suits in tan and navy. Our favorite outfit combination for this tie: Navy-blue suit that has a fine pattern, such as herringbone or Birdseye pattern, a solid white shirt and black dress shoes. Handmade from 100% Jacquard woven silk.